At the 2015 Towards Zero Symposium, John Merritt spoke about what the partnering agencies have been doing for road safety and their goal by 2020. The symposium saw influential Victorians, experts and business leaders come together to discuss how they and the wider community can work on bringing the number of lives lost on our roads down to zero. Following the symposium, the Andrews Labor Government is preparing to release a road safety strategy and action plan, with the goal to reduce road deaths to below 200 by 2020. The second phase of Towards Zero shows how far we've come in two decades in improvements to road safety by comparing the vehicles, roads, speeds and people of 1994 to those of 2015. When placed side by side the difference is stark – 374 people died in 1994, that number was 124 fewer in 2014. To get to zero, it helps to remember how many lives are saved each day by current road infrastructure and improvements. 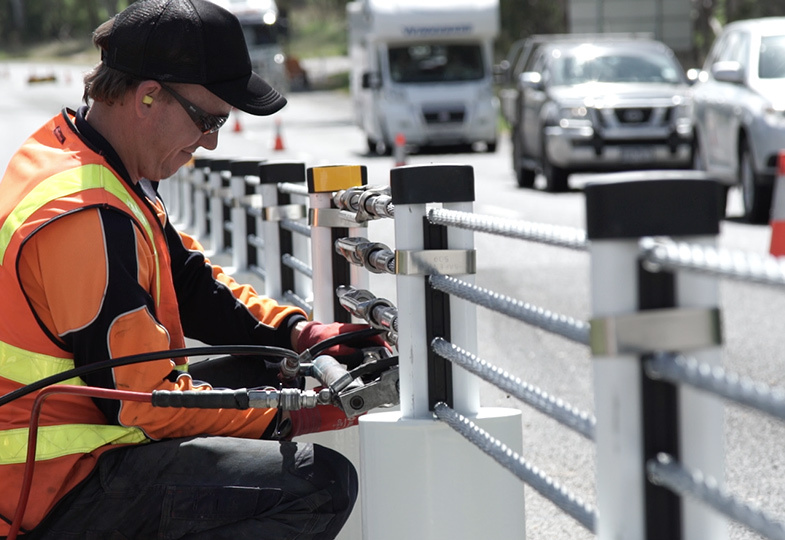 Speaking at the Towards Zero Symposium in August, VicRoads CEO John Merritt brought along a physical reminder of this in the form of a metal roadside barrier bent out of shape which "presumably saved someone's life". "Every time I go to the [VicRoads] yards, I go to the bin and have a look and see what's in there and see what we've been doing," says Merritt. "One of the challenges I've found in the safe system* approach from a leadership point of view… is to be able to show the results of our work." "What I find particularly amazing about these things is they're the only evidence we have that they work, because when someone hits them, they drive away. When we turn up all that's left is flattened posts and metal on the ground, and we begin the work of standing them back up again… Every time someone cleans up one of these things that is a life saved." He estimates maintenance crews repair almost 25% of these barriers and that the barriers have prevented more than 1000 people from being hospitalised last year alone. * The Safe System is the Towards Zero approach. It is a holistic view recognising that to see a reduction in death or serious injury on the roads we need to take into account the interaction between roads, vehicles, speeds and people. Merritt describes the decrease in the number of people dying on our roads, compared to a generation ago, as a "fantastic achievement" considering the exponential growth of the population and people on the road. But he says it is still not good enough to see people lose their lives in this way. There is an irony, says Merritt, that "countries we like to compare ourselves with," like Denmark and Sweden, are "leaving us behind" in road safety and reducing road trauma today. Particularly in the same year Melbourne was crowned the World's Most Liveable City for the fifth time in a row. "We are simply trying to do what other countries are already doing," he says. "Other countries are already showing us the way, and there is really no excuse for us not to be at that pace at all. If Sweden can be at around 2.8 fatalities per 100,000, then surely us being at about 4.2, 4.3 is simply not acceptable to us." Find out more about road trauma statistics. 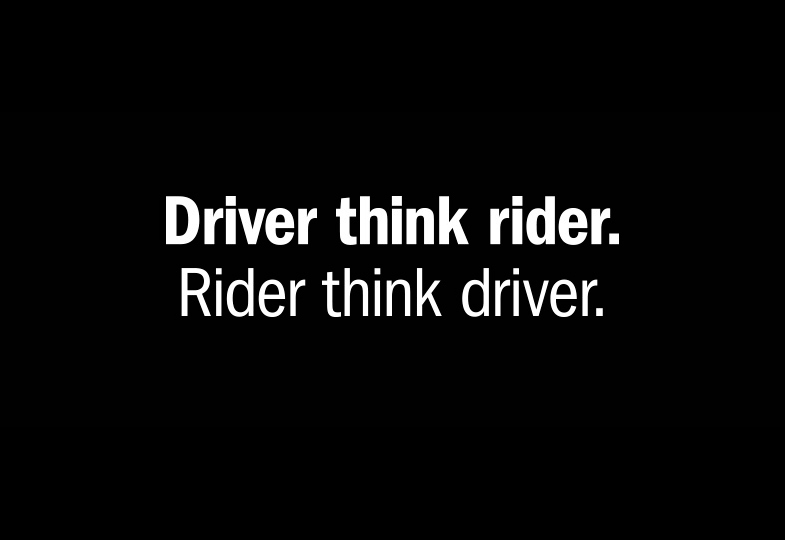 Being able to do better, and not accepting the loss of life on our roads is an unavoidable reality, is the viewpoint that fuels the Towards Zero vision. The first steps have been taken in the new approach to eradicating deaths and serious injuries on roads, with a new minister and a new target. "For the first time we have a Minister for Road Safety," says Merritt. "We have a new quite bold target to get a 20% reduction in deaths by 2020. That means getting our road toll below 200 and for us, that's fighting between 45 and 50 fatalities over the next five years." "The momentum that's carried Victoria's extraordinary performance in safety improvement over the last generation is tapering off for us. The benefits that we're seeing from improved roads, improved cars – safe system work like this is being offset by population growth and particularly growth in vulnerable communities out there." 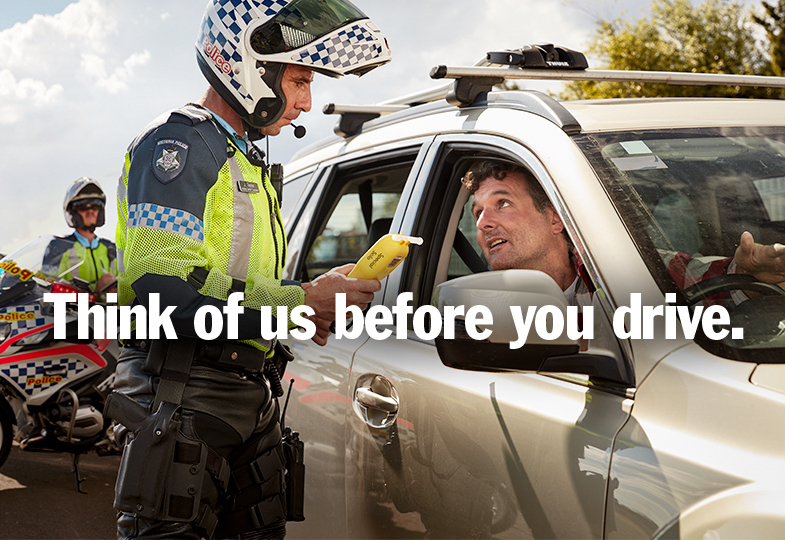 As part of Towards Zero, the road safety partners (TAC, VicRoads, Victoria Police, Department of Justice and Regulation and Department of Health) have gone out into Victorian communities, from Sale to Werribee, to involve people in discussion and "get below the surface of the problem." Find out more about the June 2015 community consultations. What are the agencies already doing? The ball has already begun to roll in reaching Towards Zero with each of the agencies involved making moves to step up and turn their organisations into "agents of change". Merritt says that VicRoads has made its "biggest single commitment in leadership development" in this area. "All of our 50 execs have had to go through a two-day truncated system training program, whether [they're] a CFO or the HR director… to bring personal leadership to this issue." He says "everybody who works for us carries that banner." On Victoria Police, Merritt says they have been fostering a "deeper understanding around the safe system approach," and "strong delivery of their road policing investigators course," as well as conducting public forums on the issues. He credits the TAC with getting Victoria to where it is today in road safety and in setting the foundations to make working Towards Zero possible. "One of the things that strikes you… [being] new to the area, is the extraordinary contribution that the TAC has made to where Victoria is today," he says. "We couldn't even be aspiring to be doing this work without their contribution and their partnership. 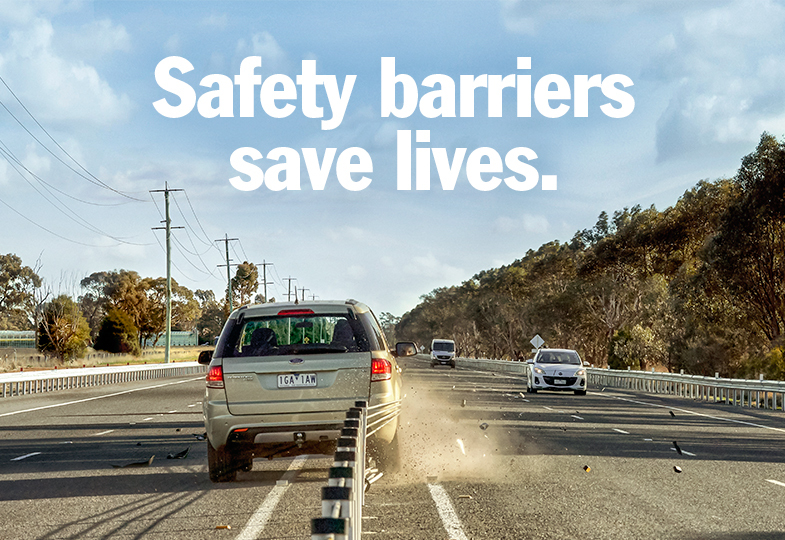 "Over the last decade, the TAC's invested almost $1 billion in enabling VicRoads to transform a lot of our high-risk roads into much safer road treatments. The evidence of what that's produced is really quite striking; on average there's a 30% reduction in casualty crashes where this work is done… My bent post is not alone. We estimate in 2014 that 115 lives were saved due to this safer road infrastructure program investment." 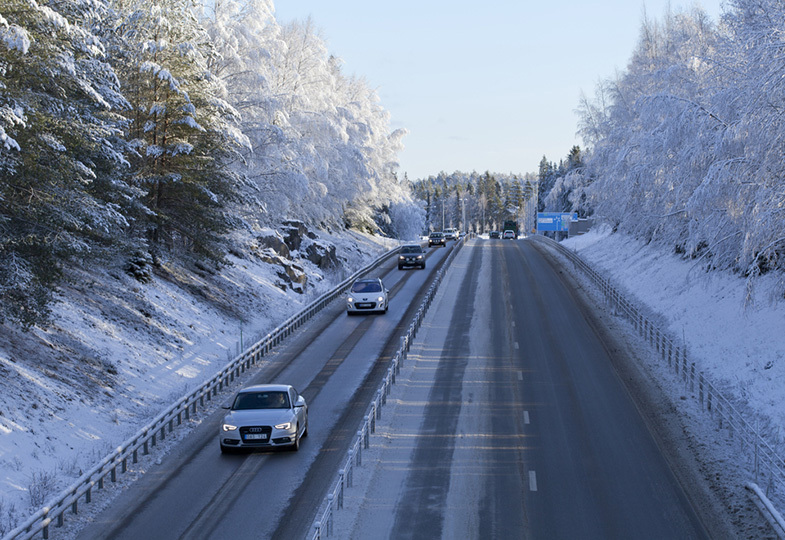 Find out more about the Safer System Roads Infrastructure Program.